The 12'6 x 32" x 6" Freeride inflatable stand up paddle board is ideal for paddlers looking to get out on the flatwater & ocean touring. Length : 12’6" Width: 32" Volume: 330 liters Features: Stainless steel leash D-ring Dual layers on Deck, underside and rails construction Centre carry handle Easy slide in fin secured with push-in pin, no tools required Bow cargo net Quick fit fin, no tools required Rugged EVA deck covering Package Contains: SUP Board Double Action Pump 3-Piece Adjustable Alloy Paddle Slide-in Fin Repair Kit Carry Bag NB: Leash følger ikke med i pakken. 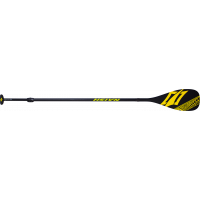 STX Oppblåsbar SUP pakke med alt du trenger - STX er god kvalitet til en overkommelig pris og STX 11'6 tourer er et allsidig og lettkjørt brett som egner seg til alt fra tur og trening til lek og moro for familien. Brettet rommer 295 liter og pumpes opp på 3-4 minutter. STX SUP Inflatable 11'6"x32"x6"	32"	6"	295L	1 slide-in Fin, 2 thrusters Features: Stainless steel leash D-ring Dual layers on Deck, underside and rails construction Centre carry handle Easy slide in fin secured with push-in pin, no tools required Bow cargo net Quick fit fin, no tools required Rugged EVA deck covering Package Contains: SUP Board Double Action Pump 3-Piece Adjustable Alloy Paddle Slide-in Fin Repair Kit Carry Bag NB: Leash følger ikke med i pakken. NALU INFLATABLE 11'0" Inflatable All-around Cruising The Nalu Inflatable 11'0" features a world-renowned Nalu design for heavier riders wanting a single board that offers directional gliding, touring and longboard wave riding capabilities. It has a long, narrow outline and added thickness for paddling comfort and directional stability while its proven rocker line provides longboard maneuverability for the surf. Inflatable All-around Cruising The Glide Inflatable 12’0” is designed for paddlers wanting a versatile, user-friendly board for all-around cruising, long distance touring and family fun. It features 34 inches of width and 6 inches of thickness for incredible rigidity, significant stability and smooth gliding. Thanks to its added volume and tail width, it performs effortlessly while carrying larger loads through flatwater and chop while still allowing easy maneuverability. Beskrivelse The 12'6 x 32" x 6" Freeride inflatable stand up paddle board is ideal for paddlers looking to get out on the flatwater & ocean touring. Length : 12’6" Width: 32" Volume: 330 liters Features: Stainless steel leash D-ring Dual layers on Deck, underside and rails construction Centre carry handle Easy slide in fin secured with push-in pin, no tools required Bow cargo net Quick fit fin, no tools required Rugged EVA deck covering Package Contains: SUP Board Double Action Pump 3-Piece Adjustable Alloy Paddle Slide-in Fin Repair Kit Carry Bag NB: Leash følger ikke med i pakken.